Used in CM 4-7-6. 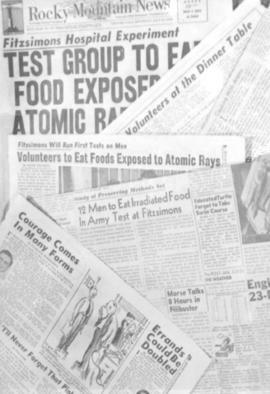 Various newspapers that gave (unexpected) national publicity to the story of Mennonite young men who volunteered as guinea pigs in an experiment with atomic radiated foods. 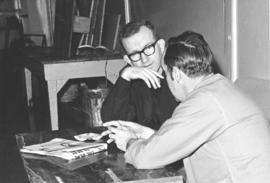 Note with photo: Walter Loewen of Broadway Church, Chilliwack listens to his friend (back to camera). At the Okalla prison? 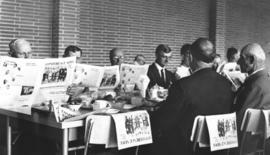 Newspaper, on the table, The Chilliwack Progress used in discussion. 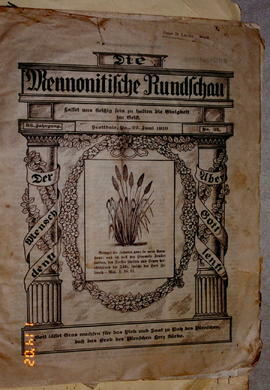 C.f.1994-14.2123 & 2125.